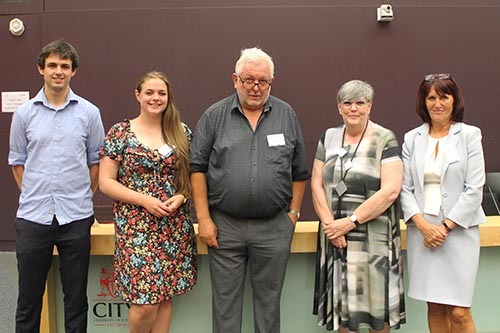 Social anxiety disorder and stammering were discussed at the 2nd Annual Roberta Williams Memorial Lecture at the start of July, as Dr Jan McAllister spoke about her own research in the area and the emergence of social anxiety among children and young people who stammer. Based at the University of East Anglia, Dr McAllister’s work is focused on the psychological sider of stammering, with recent studies including an NIHR-funded project aimed at developing a treatment for Social Anxiety Disorder (SAD) in adults who stammer. Discussing social anxiety disorder and stammering in particular, Dr McAllister talked about possible precursors of the disorder, its impact on functioning, and possible interventions. Stammering is not just about speech as there is also a prominent psychological angle – anxiety, depression, emotional or behavioural problems in children, self-stigma and also SAD can all be issues for people with such disfluency disorders. Dr McAllister also spoke about how possible scrutiny by others is common in people who stammer, as people who stammer often fear people judging them negatively, and therefore a common coping mechanism is to avoid situations that they fear, which can significantly impact on their lives. 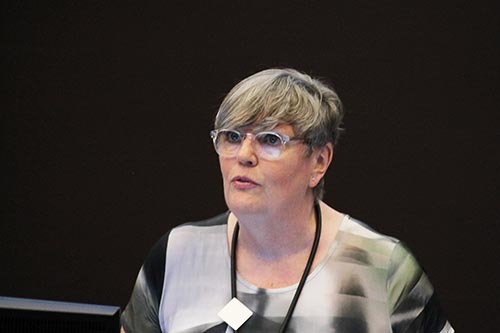 Held in memory of Roberta Williams, a Senior Lecturer and Associate Dean in the School of Health Sciences, who sadly passed away in May 2015 shortly after her retirement, the lecture was part of an annual series held in memory of Roberta's incredible contribution to the School and her work with the students over the thirty-two years she was at City, University of London. Roberta’s area of specialist clinical expertise was dysfluency (stammering and stuttering) and she continued to support clinical work and teach in this area up until her retirement. Highlighting how “Roberta recognised the importance of the issues I wanted to talk about this evening,” Dr McAllister went on to discuss how that compared with their peers, children and young people who stammer have several characteristics that are risk factors for SAD, which is a long-lasting and overwhelming fear of social situations. This includes poorer emotional outcomes, a higher likelihood of being bullied, and also lower self-esteem. There is also recent research showing that social anxiety disorder is more common among older children, adolescents and adults who stammer, as recent studies have shown that while 7% of adults who don’t stammer have SAD, between 22 and 60% of those who stammer and are seeking fluency treatment have the condition. A recent online questionnaire on the British Stammering Association website developed by Dr McAllister and colleagues also showed that 67.8% of the 332 people who answered met the criteria for SAD. However there is evidence that cognitive therapies can be used successfully to treat this, and in particular Dr McAllister highlighted that Cognitive Behavioural Therapy can be effective in reducing social anxiety for some people. Dr McAllister is also working on other interventions. Recent studies by Dr McAllister and others have highlighted that socially anxious people more readily notice and respond to social threats, such as negative facial expressions or body language. As a result, this bias causes and maintains social anxiety disorder. However, to help combat this Dr McAllister and colleagues are looking to see if something called Cognitive Bias Modification (CBM) could help train people to direct attention away from negative facial expressions and therefore help people who stammer and reduce the effects of SAD. With such promising research continuing in this area – and with researchers such as Dr McAllister developing new interventions – hopefully people who stammer who are at risk of SAD will receive the support and interventions they need while also reducing the impact of such disorders.